Good morning everyone and Happy Thursday!!!!! 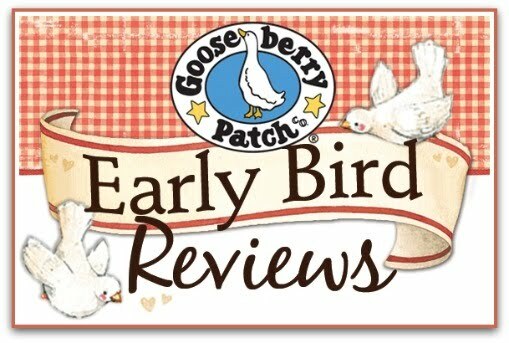 Today as one of the Gooseberry Patch Early Bird Reviewers" I am bringing you yet another yummy cookbook review. I have to say I have really enjoyed reading and cooking my way through all the new Gooseberry Patch Titles that have come my way. 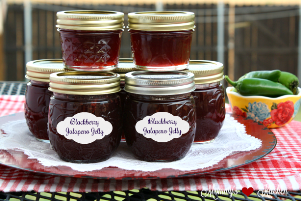 Are you a Gooseberry Patch Cookbook Fan? If not just buy one of their wonderful cookbooks and you will instantly fall in love. Just when I think I have all the books I need Gooseberry Patch comes out with one more must have title. I bake a lot here at Mommy's Kitchen. Especially when it comes to the holidays. I just I can't help it Dessert is one of my favorite things. 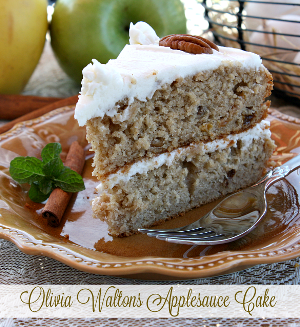 Do you love to bake for family and friends? I do especially if the recipes are really easy to throw together. If there is one thing I cannot tolerate it's a recipe that is so complicated and calls for ingredients that I never have on hand or even heard of. That really takes the fun out of the whole baking experience. The latest edition added to the Gooseberry Patch Series is 101 Cupcake, Cookie & Brownie Recipes. By the title alone you know this book has to be yummy. What I immediately loved about this new cookbook was all the eye popping color photos. Yes folks all of the recipes in this easy to read cookbook have mouthwatering photo's right alongside each recipe. My favorite thing is seeing photos in cookbooks. That's what really grabs my attention and gets me excited about making a certain recipe. 101 Cupcake, Cookie & Brownie recipes is broken down into five chapters. Let's talk about some of the yummy recipes that are listed in this cookbook. Tasty Little Cakes is all about lots of different cupcake recipes. From regular sized or mini they have plenty of recipes. Here are few samples....... Grandma's Banana Cupcakes, Taffy Apple Cupcakes, Cookie Dough Cupcakes, Boston Cream Pie Cupcakes, Snicker Doodle Cupcakes and Double Maple Cupcakes. Time to move on to the Cookie Jar Chapter. Everyone loves a good homemade cookie. 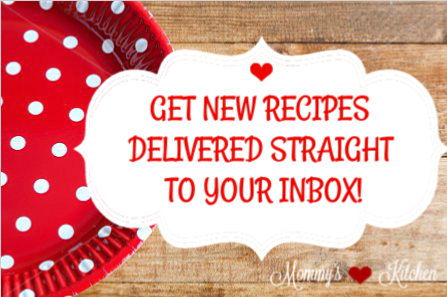 With 101 Cupcake, Cookie and Brownie Recipes you can make some easy yet yummy cookie recipes. How about Tasty Cookie Lollipops or Homemade Fortune Cookies, Granny's Chocolate Fudge Cookies, Rainbow Swirl Cookies or Raspberry Almond Shortbread Cookies. Goodness!!! Brownies and Bars dear lord this is my favorite chapter. Wouldn't you love to sink you teeth into a Divine Praline Brownie? I know I would and that one is on my list to make. Lets not stop on just one. There are recipes for Rocky Road Brownies, German Chocolate Cookie Bars, Peanut Butter Brownies and Chocolate Chip Cheesecake Squares. And lastly is Sweet Celebrations. This chapter is all about those special occasion treats. Baby Rattle Cupcakes, Be Mine Cherry Brownies, Easter Ice Cream Sandwiches, Bride & Groom Cookies, Tom the Turkey Cupcakes, Frosty the Snowman Cupcakes and much more. I can't wait to make the Scaredy - Cat Cookies for Halloween and Dad's Giant Cookie for Fathers Day. The kids are going to love helping me make that one. Well in the end it came down to choosing what I wanted to bake. I am not kidding you this was a hard task as you can tell from my list above. Well the first one I chose was Zucchini Cupcakes W/Peanut Butter Icing on page 25. Oh goodness these were so good. I made mini cupcakes and surprised the kids after school. Carson eyes about popped out of his head when he saw the on the counter. He said Chocolate Cupcakes. It didn't take him long for him to pop down two of these and give me the biggest smile. 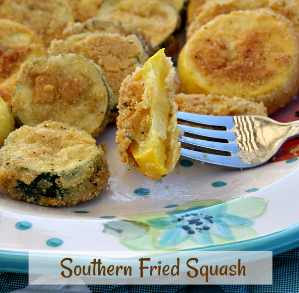 Combine zucchini, eggs, sugar, oil and vanilla. Add flour, cocoa, baking powder, soda, salt and baking chips. Fill paper lined muffins tins with 2/3 cup batter. Bake at 325 degrees for 25 minutes or until toothpick inserted comes out clean. Cool in ins 5 mins then remove to baking rack to cool completely. Beat peanut butter, butter, milk and vanilla until creamy. Gradually beat in powdered sugar. Frost cupcake when completely cooled. For my second recipe I chose Pineapple Upside Down Cupcakes on page 12. Don't they look so cute? While I was away last week in LA with the kids we missed my husbands birthday. Pineapple Upside Down Cake is is favorite of cakes. So as soon as we arrived back home I made these yummy little mini pineapple upside down cupcakes. My husband loved that they were bite size. He is very picky on his Pineapple Upside Down Cake, but he said these were perfect. The next recipe on my list to make is the Snicker doodle Cupcakes so be on the look out for that recipe. Pat pineapple dry with paper towels. In a bowl, combine brown sugar and melted butter. Dive evenly into 12 greased muffin pans. Arrange pineapple tidbits over brown sugar mixture. In a bowl, combine flour, sugar and baking powder. Mix in softened butter and reserved pineapple juice. Beat for 2 minutes and then beat in eggs. Spoon batter over pineapple filling in each cup about 3/4 full. Bake at 350 degrees for 30 minutes or until toothpick inserted comes out clean. Cool in pan for 5 minutes. Place a wire rack on top of muffin tin and invert cupcakes onto rack so pineapple is on top. Cool completely. To each with a cherry. Makes one dozen. Final Thoughts: I loved this yummy little cookbook!!!! 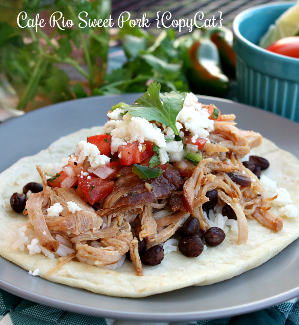 Perfect photos and easy to read and simple recipes. Some even utilized a cake mix and y'all know how I love that. All of the recipes are kid and adult friendly so this cookbook is for everyone. Vickie and Jo Ann you picked another great title, but then you always do. OK now for a little fun. Gooseberry Patch has been kind enough to send me an extra copy to share with one of my readers. Isn't that so generous of them? Vickie and Jo Ann are kinda of awesome like that!!!! 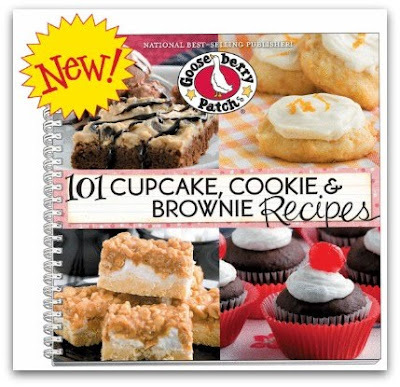 101 Cupcake, Cookie and Brownie Recipes is temporarily out of stock at Gooseberry Patch due to high demand. But it does look like Amazon.com has some copies for $10.17 which is a great deal. Don't worry though they are working hard on getting the cookbooks back in stock. Right now you can still Pre Order a copy that way when they are back in stock come February you be one of the first to receive a copy. 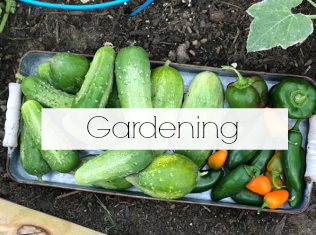 Click here to Pre Order your copy from Gooseberry Patch today. Now onto the Giveaway rules. How To Enter The Giveaway:Just leave a comment on this post letting me know what your favorite sweet treat is. Cupcakes, Cookies or Brownies? (mandatory entry) For me it's Brownies! Additional Entries:You can do any or all of the following for extra entries. Please leave a separate comment for each one. 2. Join Gooseberry Patche "Circle of Friends" so you can stay Gooseberry Patch updated. 3. 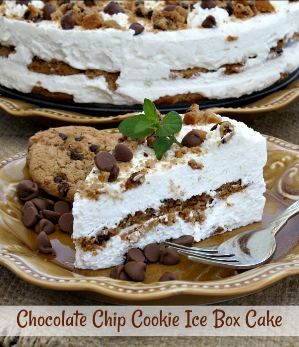 Become a Fan of Mommy's Kitchen on Face book.4. Mention this giveaway on your face book page. Come back and tell me so. Last day to enter this giveaway will be Tuesday February 1st at midnight (CST). I will pick a random winner using random.org and announce the winner on this blog, face book and twitter. Good Luck to everyone. Contest open to U.S & Canadian Residents only due to shipping charges. If you leave an anonymous comment please include your email address. That way I can contact you in the event that you are the winner. Disclosure: Gooseberry Patch provided me with a copy of "101 Cupcake, Cookie and Brownie Recipes" for the purpose of this review. They also provided me with an additional copy to use in a reader giveaway. My favorite sweet treat is Cheesecake! I love Brownies the most! :) Although I would be inclined to say all the above, but brownies is my current favorite. Ohh... it has to be brownies, escpecially ones with gooey middles. I LOVE the Gooseberry Ladies! Have a few off their books! My favorite sweet treat is Cupcakes! 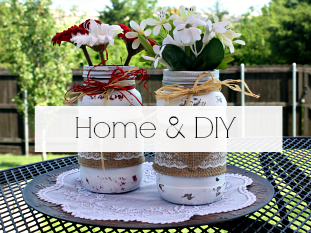 Love diffrent decorating ideas! Do I have to pick just one favorite or can I say 'All of the above'? Yes, I do have a sweet tooth or two.....or ten. Fan of Gooseberry and of yours now! Great blog. my fave treat to make + eat is cookies! I love Brownies... You can add frostings on top.. You can add anything to the brownies before you bake them.. Yummy! I think I would have to pick cookies for my favorite, although cupcakes and brownies would be right there, too! Fan of Mommy's Kitchen and Gooseberry ! I just became a fan of Gooseberry! I love a good fruity dessert - be that cake, cookies or a fruit-oat bar! I just joined the circle of friends. I would have to say cookies. Brownies are a close second. My favorite treat is a coconut cupcake with dark chocolate frosting--to die for!! Snickerdoodles are a close second. I'm a cupcake kind of girl! My most favorite sweet treat of all... would have to be a brownie alamode combining a warm fresh brownie from the oven, and a good ol scoop of blue bell (I too am from Texas)! I love all desserts! But I'm very partial to chocolate cake with buttercream icing! Cupcakes definitely fall into that category! My Favorite sweet treat has to be brownies.....love 'em when they come out of the oven and are so warm and soft!! How delightful!! Fan of Mommy's Kitchen. Love your recipes. I love sugar cookies with frosting or anything with butter and brown sugar! I'm very curious about the bars on the bottom left of the cookbook cover. My favorite dessert is good cheesecake. I love your site and I am a fan on facebook and belong to your google site. I've also became a fan of Gooseberry on facebook and joined their Circle of Friends. We love anything chocolate around here. Brownies, pies, Texas sheet cake, are all favorites. I absolutely love pecan pie muffins with a scoop of vanilla ice cream! I am a brownie fan for sure!!! Thx for the book review!! I love Gooseberry Patch cookbooks. I'm a fan of Mommyskitchen on facebook. I would have to say my favorite is brownies and really any bar type desert! I am a FAN of Gooseberry Patch's on facebook. I am also apart of GBP's "Circle of Friends"
I am also a fan of Mommy's Kitchen on facebook. Just shared this giveaway on my facebook page! Thanks so much for a chance to win this great book! Have a great day and God bless! I've heard such good things about Gooseberry cookbooks, but don't have one. I tend to be a cookie or cupcake girl. I tried to share this on my facebook page but I got this error message twice: An error occurred with NetworkedBlogs. Please try again later. I will try again later. I love brownies- I can't stop at just one or two or three. My favorite sweet treat is Cheesecake, no Cookies, no Pies, no Brownies... any of the above! LOL Thanks for sharing! Tina, your cupcakes look great. I am on a cupcake kick lately. Love them. I would have to say cupcakes. Already a follower through Google Friend Connect. I am a huge fan of Gooseberry Patch on FB! Favorite treat is cakes and pies! 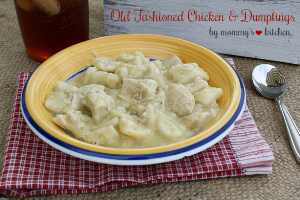 Huge fan of Mommy's Kitchen on Facebook! Thanks Tina! I love cookies! Especially my Mom's spritz cookies at Christmas and pumpkin oatmeal cookies anytime! 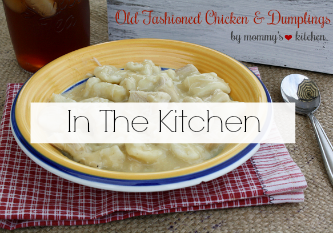 I'm also a fan of Mommy's Kitchen on Facebook! BROWNIES! I've never liked cakes as much as other treats but those chocolate zucchini cupcakes with peanut butter icing sound very tempting. Anything with chocolate and peanut butter is irresistable. I love cookies. Especially chocolate ones! I love all sweets but if I had to pick one, it would have to be cupcakes. Yum! I would have to say cookies, although I love brownies and cupcakes, too. I liked Gooseberry Patch on Face book. I liked Mommy's Kitchen on Face book. Cupcakes, we love cupcakes!! I have 2 little girls and we love making cupcakes together. I love trying new recipes, and new flavors!! Cupcakes we love cupcakes!! I have 2 little girls, and we love making cupcakes and trying new recipes and new flavors!! I would have to say cookies, since there is so much room for variety. I would have to pick ooey gooey brownies with frosting and walnuts as my favorite!! I would have to choose cake, with my all time favorite being German Chocolate. Yum! My goodness - you're such a tease! All those enticing delightful pictures were enough to make me drool! I am a COOKIE monster! Grab 'n' go - love em! I'm already a fan of GP at FB. I'm a faithful fan of Mommy's Kitchen at FB. It is so hard to choose just one. But I guess I will select Brownies. Love them and Gooseberry Patch is just awesome. I love fudge brownies with walnuts and chocolate frosting! But lately I've been making a lot of cupcakes...so it might be a tie! I'm already a fan of Gooseberry Patch on facebook. I'm already a member of Gooseberry Patches Circle of Friends. I love cookies - am a cookie monster. I love brownies...especially Bavarian mint! Mmmmmmm.....looks like this Gooseberry cookbook has some YUMMY recipes!!! I love mostly all brownies! Esp cheesecake brownies! I love all things sweet! I can't say which one I like most since I love to make and eat them all!!! Frosted sugar cookies are my favorites :). 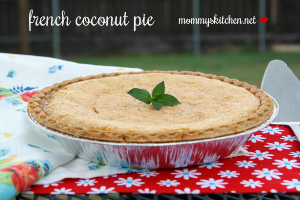 It varies, but pie is always a good treat! Brownies are my favorite! Especially the fudgy chewy kind. I'm already a fan of GBP on Facebook. Have been a fan of Mommy's Kitchen on FB for awhile now. Oooey, Gooey, fresh from the oven chocolate chip cookies. I LOVE cookies! Chocolate chip with pecans and instant espresso powder are one of my favorites. And I LOVE Gooseberry! I have several of their books and use them often! Hi - Love the Gooseberry Patche cookbooks!! I am in "the circle of friends" on Gooseberry Patche, I receive all of their emails! I just tried to friend you on facebook and got a chinese bakery website...???? My family loves COOKIES! Any kind, I don't think our cookie jar ever goes empty. I like pie. Lemon, pecan, apple, apricot, any and all PIE! This is literally making my mouth water and stomach growl simultaniously!! My favorite treat is probably cookies..especially oatmeal!! I love most all sweet treats - unfortunately!! I love cupcakes and cookies and I love to make them. My favorite would all depend on the flavor of the treat. I love lemon cake. Funfetti cupcakes. Lots of different cookies. I love sugar clearly. Yum Yum BROWNIES. New cook bood looks awesome. I LOVE cupcakes...so many options, you can do so much..and they are just as cute as ever!! 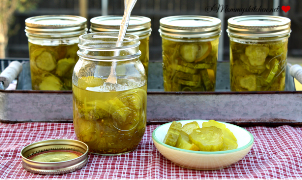 I am now a fan of Gooseberry on Facebook...so FUN, really can't wait to win this cookbook! ..SOOO want to win this!! I love love love a good chocolate chip cookie. Facebook fan of Gooseberry Patch! I absolutely LOVE sugar, so it's hard to decide what's my favorite. I'd probably always go for the cookies though. 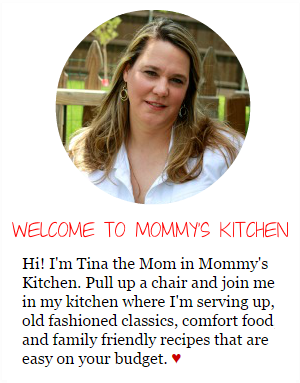 I am a Mommy's Kitchen fan. I love Cupcakes, Cookies and Brownies... all of them!! And I would LOVE this cookbook too!! Baking is my favorite thing to do!! I do love a good blondie. But I don't discriminate with sweet treats. I love alllll desserts, but my favorite is cheesecake anything... is there a cheesecake flavored cupcake or cookie in this book? That would be interesting! I am so excited can't wait to try some new recipe from here, thanks for sharing your fun gifts with us. I love dark chocolate brownies! I am a Gooseberry Fan on FB with hubby's account. I like all three but brownies are my favorite. My favorite sweet treat would be a toss up between the cookies and the brownies. I love anything sweet.